A synergistic blend of whole food herbs for the thyroid gland. 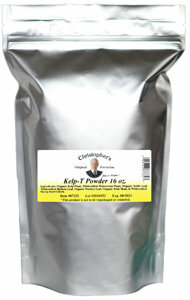 Dr. Christopher's Kelp-T Powder nourishes the thyroid gland & supports a healthy metabolism. Also available in Capsule (Thyroid Maintenance) form.